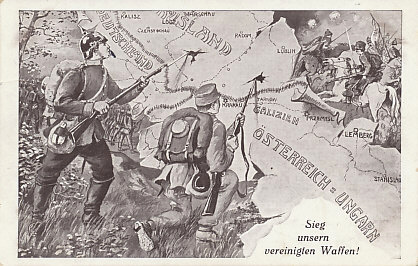 The united forces of the German and Austro-Hungarian armies turn back the Russians. They did so in the battles of Tannenberg, Krasnik, and Komarov. By the time the card was dated and postmarked on September 6, 1914, the Russians had turned the Austro-Hungarian tide and were driving their army out of Galicia. Victory to our united forces! 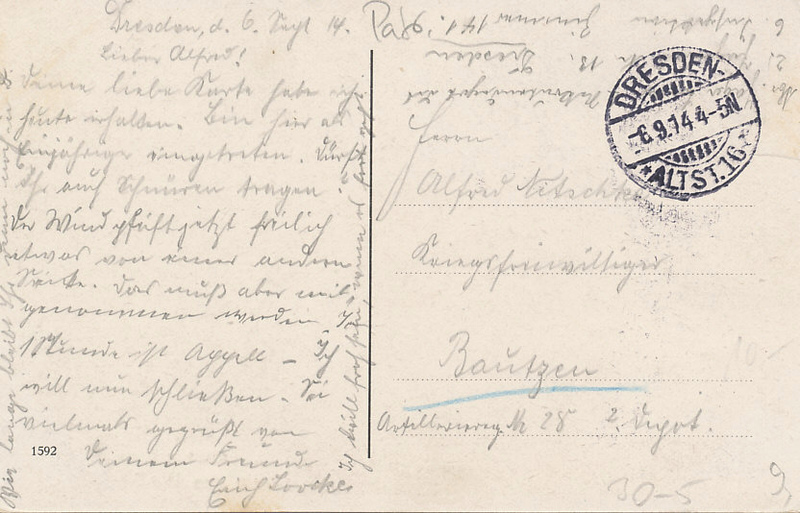 Message dated and card postmarked on September 6, 1914. The Austro-Hungarian Fourth army under General Auffenberg advanced to the northeast into Russia from Przemyśl. To its left was the First Army under Dankl; to its right, the Third Army under Brudermann. The day after Dankl defeated of the Russian Fourth Army in the Battle of Krasnik, Auffenberg encountered the Russian Fifth Army under Plehve. 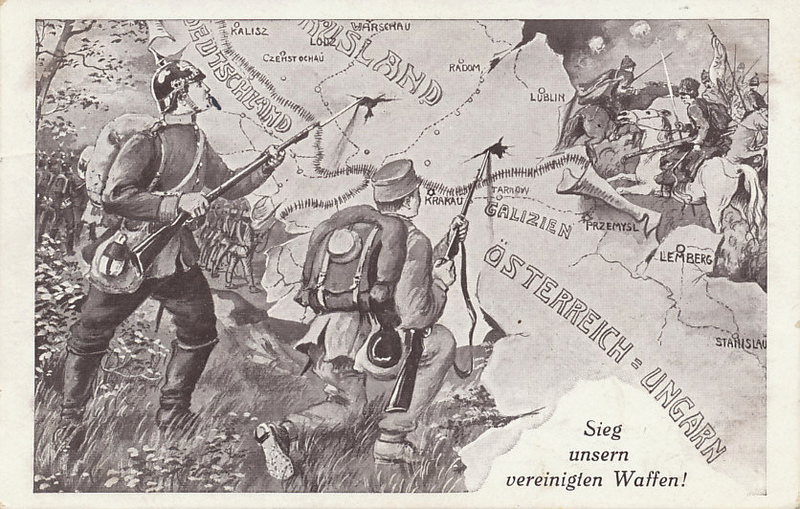 In four days of battle, the Austro-Hungarians threatened to outflank the Russians, who withdrew on August 31. Battle of Komarov is part of Russia and Austria-Hungary War in Galicia, 1914.